The first came from Viv at Hensteeth. I absolutely adore her designs and have admired them for ages. When she listed her adorable girl brooches I could resist no longer! I was completely blown away by the packaging and ~of course~ the sweet little brooch. You can find her beautiful blog [here] and her Etsy shop [here]. Kerry posted about a sew along over at Gertie's Blog for better sewing and I couldn't resist joining in. The sew along is for a lingerie set consisting of undies plus a slip or cami. I have sewn everything under the sun except under garments so I'm excited to give it a go! She is selling the sets and patterns in her Etsy shop [here]. 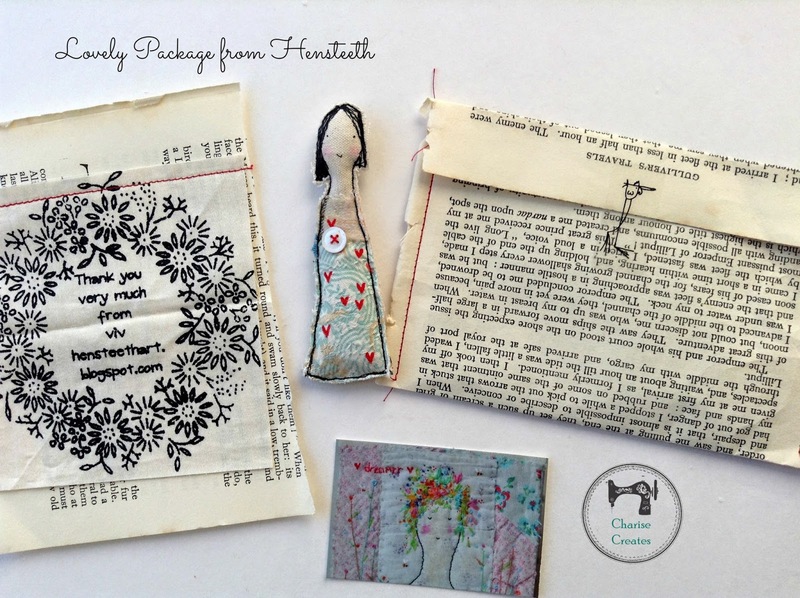 Chase over at 1/4" mark is hosting the most lovely little sew along. It is a simple sew along where she asks participants to use their scraps to make a simple 12 patch block. At the end of ten weeks you will make a mini quilt from the blocks. 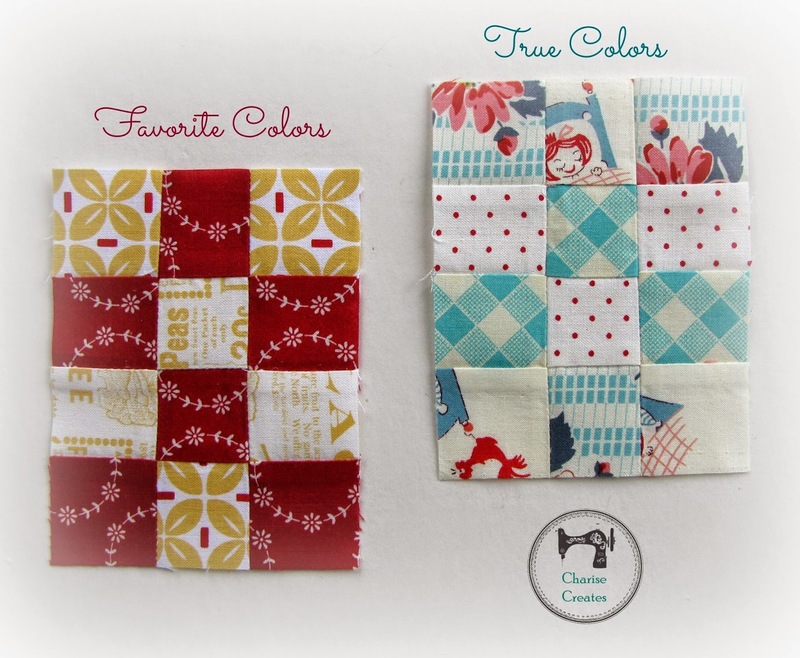 My absolute favorite part about this sew along are the themes for each block. ~1~ our favorite colors and ~2~ our true colors, or colors we tend to use in our quilting projects. What pretty gifts, I love the packaging too. I am also doing the QAL and am very inspired by the themes. Hi Charise - How very talented you are! Love your little brooch! Visited your Etsy shop - you have some great patterns. I am new to your blog and am your newest follower. Sunny Seattle Day and a sneak peek!